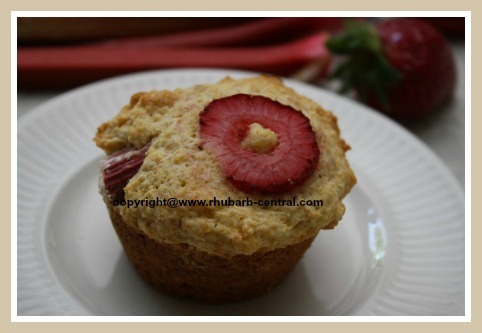 These Fresh Rhubarb Strawberry Muffins are made with cornmeal - a great idea for baking a healthier rhubarb recipe with fresh rhubarb and strawberries! My family didn't "think" they liked cornmeal muffins ... until I made these ... and then they realized that they LOVE them! 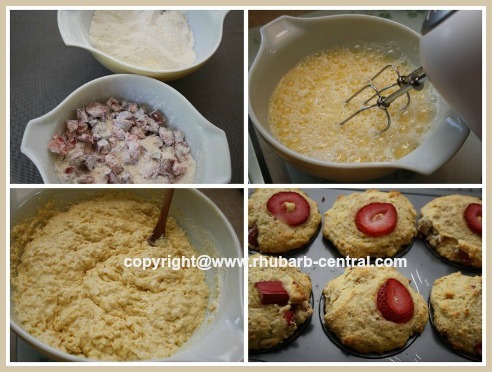 Rhubarb muffins are that are a joy to bake ... AND to eat! 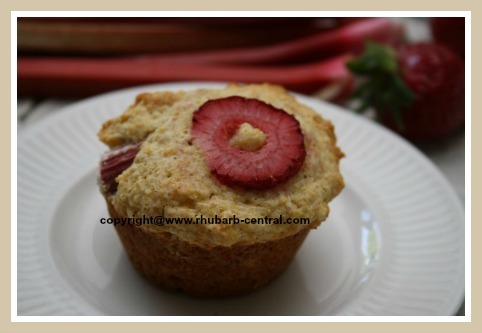 You Will LOVE these Strawberry Rhubarb Muffins! 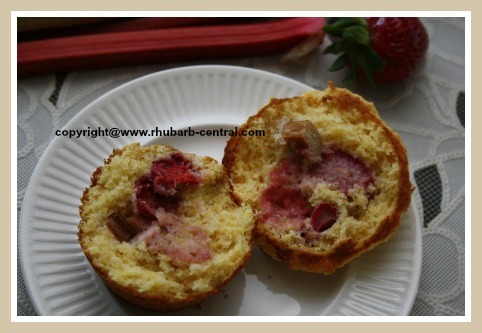 Rubarb and Strawberry Muffins - Deliciously Delicious! These muffins will freeze well for several weeks at least. In a bowl, combine the flour, sugar, cornmeal, baking powder and salt. Take about 1 cup of the above mixture, and add the rhubarb and the strawberries, tossing to coat. Set aside. In another bowl, beat (with an electric mixer) the eggs, and add the milk and the vanilla and beat together. Stir this into the remaining of the original mixture, and stir in the melted butter. The batter will be lumpy. Spoon a lump of batter (about 2 tbsps.) 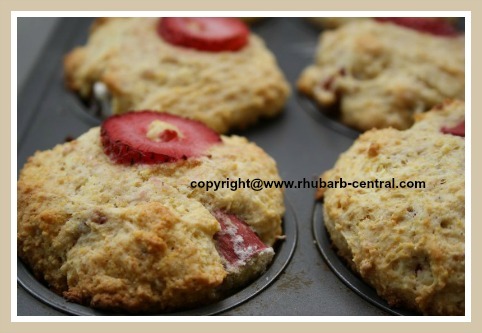 into each of 12 lightly greased muffin cups, and divide the coated rhubarb and strawberries evenly among the muffins. Divide the remaining batter among the muffin cups, on top of the rhubarb and strawberries layer. Bake at 400° F for 20 minutes, or until the muffins are golden brown, and the tops spring back when lightly pressed. Makes about 12 medium size muffins or 9 - 10 medium-large size muffins. 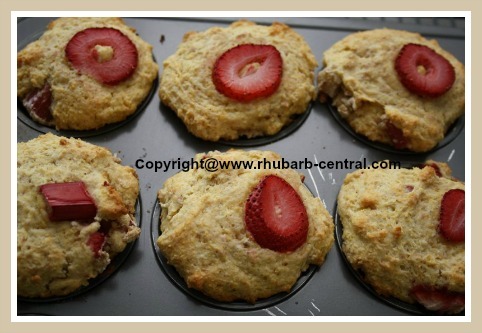 So scrumptiously scrumptious healthy rhubarb strawberry muffins! As with most muffins, they taste AMAZING when they are still warm out of the oven! Do you ♥ beautiful cake and pastry stand like I do? If so, check out my favourites! How do you store your flour?